Well, it’s about time. I’ve been patiently waiting on this baby to bloom for weeks now! 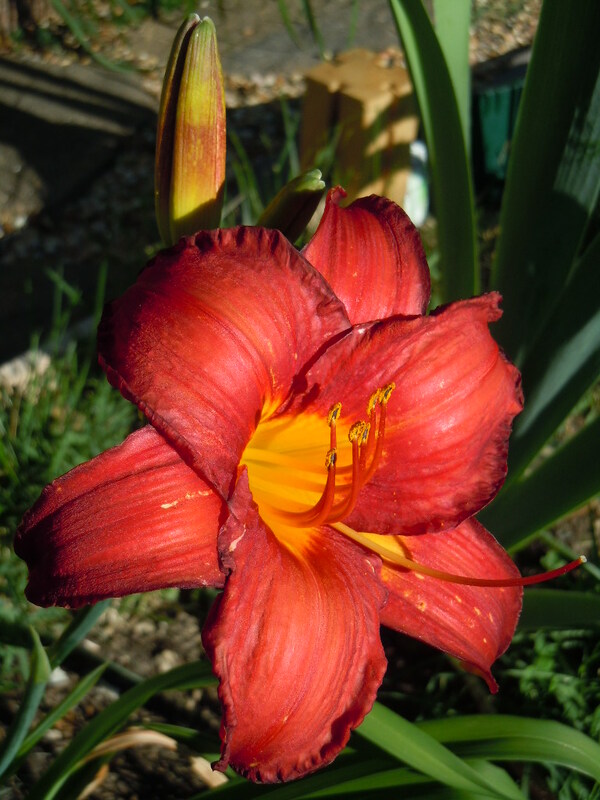 This is a brand new day lily that was just planted last October. While all the new flowers came up this year, they did not all bloom. In fact, most of them didn’t and I assumed it was probably because they were too young. The hail storm in late April also stressed some of the plants which had buds on them. I thought we’d probably have to wait till next year to see any of these guys. And then a few weeks ago a small bud appeared on this one. It finally opened yesterday! And it looks like there’s going to be a second bloom next to it. I’m really excited about this addition because of its rich red color and also because of the size of the flower. It’s about 8 inches wide, much wider than some of our traditional day and tiger lilies.